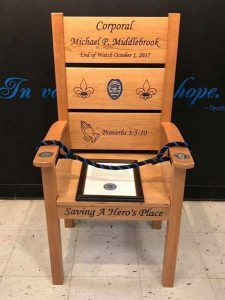 Our Vision is to ensure that every law enforcement officer who has fallen in the line of duty is always remembered and honored by their community and agency. 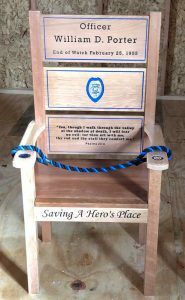 Saving a Hero’s Place is run by police officers and family. 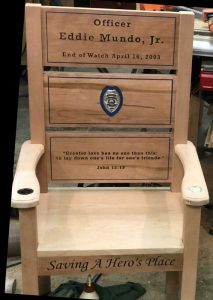 Our chairs are made by family for our family. 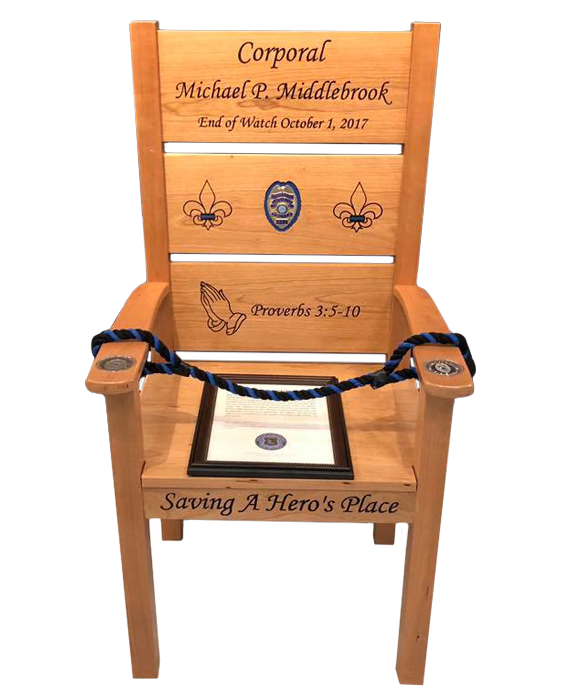 We need your support to help us deliver chairs for every officer that gives their life for their community. 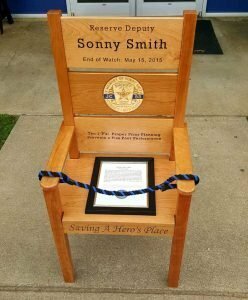 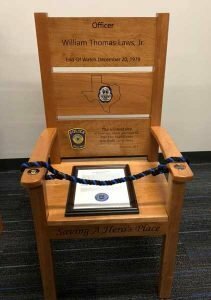 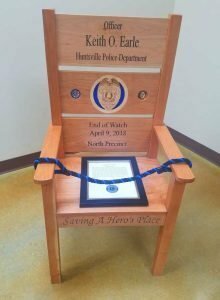 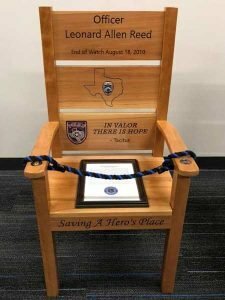 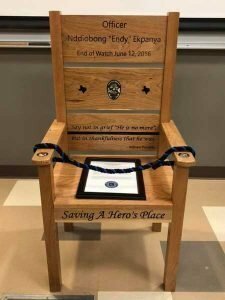 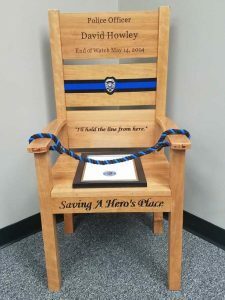 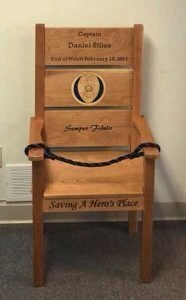 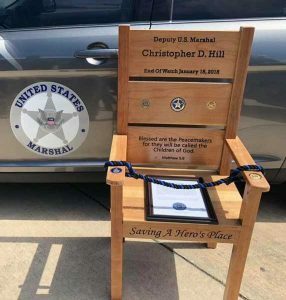 Saving A Hero’s Place is committed to honoring the memories of law enforcement officers who have fallen in the performance of their duty by providing their department with a permanent place of reverence for their fallen hero: the honor chair. 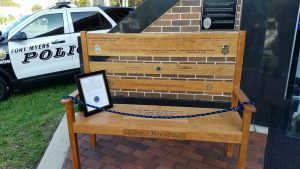 … and promote healing and peace for public safety organizations through the remembrance of those who gave the ultimate sacrifice.